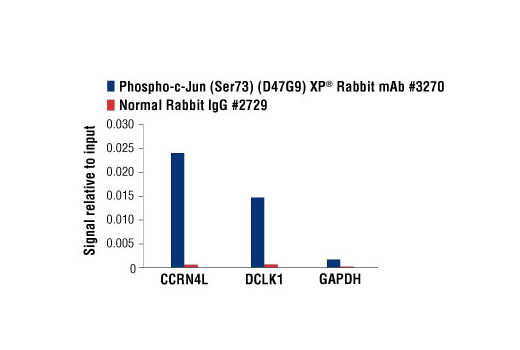 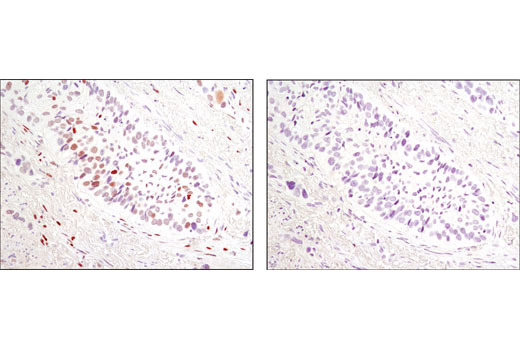 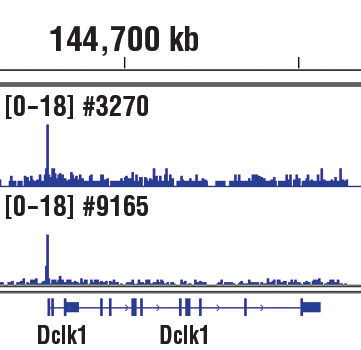 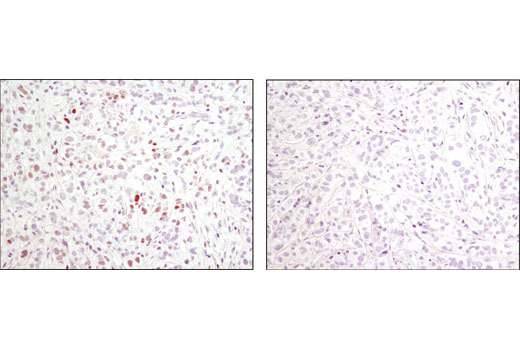 Phospho-c-Jun (Ser73) (D47G9) XP® Rabbit mAb detects endogenous levels of c-Jun only when phosphorylated at Ser73. 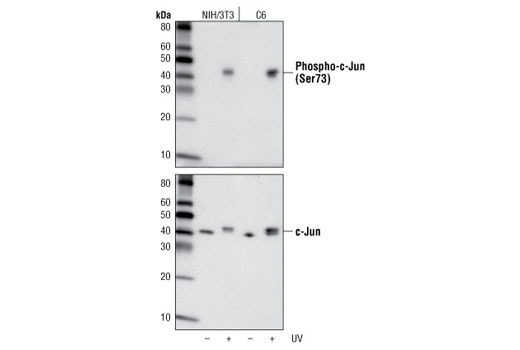 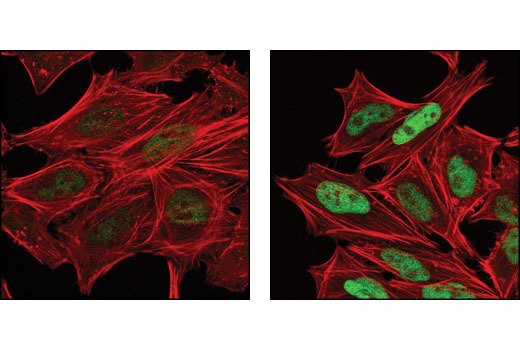 This antibody may also recognize JunD phosphorylated at Ser100. 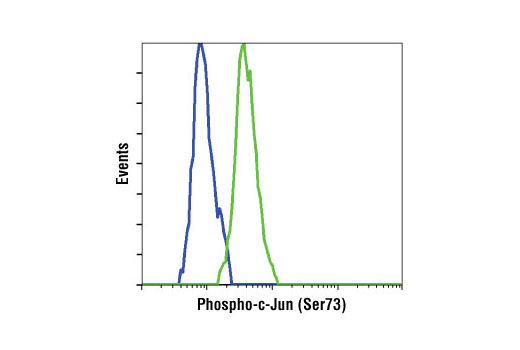 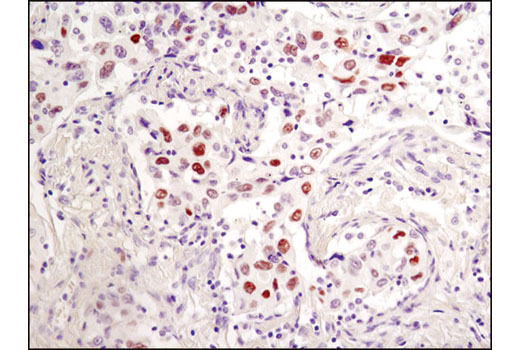 Monoclonal antibody is produced by immunizing animals with a synthetic phosphopeptide corresponding to residues around Ser73 of human c-Jun.